 A reliable source for Adhesive Manufacturers information and a resource for accessing leading Adhesive Manufacturers and suppliers. Adhesives The term “adhesives” applies to a wide variety of substances that, when applied, binds one or more flat surfaces together. Types of binding that adhesives provide include sealing, bonding, and laminating, both permanent and temporary. Adhesives can also waterproof and level surfaces, trap liquids, and fill holes and seams. Adhesives are made through the combination of an epoxy resin and a hardening substance, called a curing mechanism. 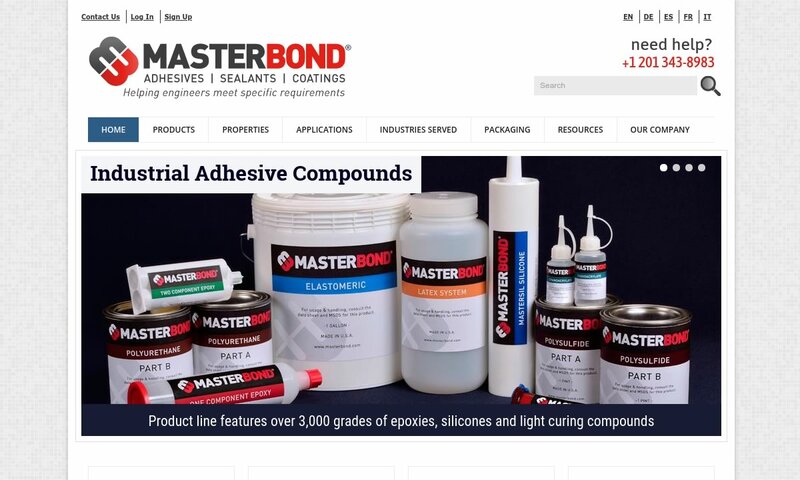 Master Bond formulates high quality adhesive systems to help engineers meet specific requirements for their bonding, sealing, coating and encapsulation applications. 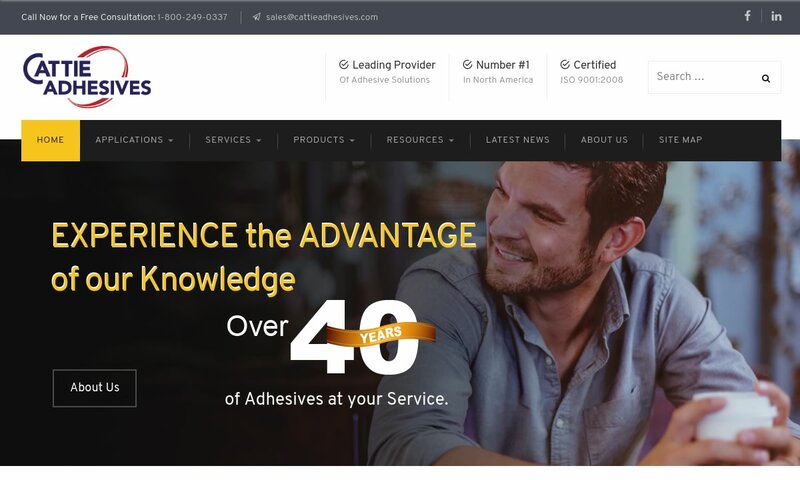 Since 1971, Applied Adhesives has not only evolved with the industry, we’ve led the change. We provide adhesives, assembly tools, & automation products from global industry leaders. We produce top of the line work when it comes to the adhesive industry! We make sure that we product a high-quality product for world class customers! We are the adhesive manufacturers that you can count on to deliver your products exactly when you need them! All of our products are proudly made.in order to better serve you! We are dedicated to providing our customers services wherever they may need them around the world. All of our products are put through extensive rigorous testing to ensure that we are offering only the best products possible! Adhesives have so many industrial and non-industrial applications. Industries for which adhesive manufacturers produce their products include appliance assembly, automotive, construction, labeling, packaging, plumbing, arts and crafts, healthcare, interior design, and woodworking. Within those industries, they are used to stick together cement, ceramic, glass, marble, metals, paper, plastics, wood, and more. Examples of specific adhesive applications include but are not limited to aquarium and tank assembly, bookbinding, furniture making, and shoemaking. Industrial customers use construction adhesive sealing and binding products as an alternative to fasteners in the installation of wood floors and laminate on counters or floors, and the fabrication of cabinets, doors, staircases, and window frames. Also, for orthodontics, glue manufacturers make denture adhesive products. Adhesives have been around for an incredibly long time. The earliest example of adhesive use we have found so far dates back around 200,000 years. This example is simply a set of two stones that were found in central Italy, stuck together with birch bark tar. By 70,000 BC, some humans had learned how to make glues and how to use them as adhesive sealants. We know this based on cave paintings in South America. There, the natives sealed their paintings using sealants they made out of tree sap and red ochre. Around 8,000 BC, which was part of the Neolithic period, ancient European peoples were using birch resin glue to bind ax heads and spear heads to their weapons. In fact, famous Ötzi the Iceman was found with an ax held together with birch glue (pitch) and leather. By 3,000 BC, the Babylonians had mastered the art of using adhesives to help build their temples and homes. These adhesives included those derived from asphalt, plant resins, proteins, and animal blood. Around 2,000 BC, the Egyptians were assembling figurines and wooden artifacts using liquid glue. They made this glue, some of which still remains in their tombs, from collagen, which they most likely got from animal skins. After around 1,000 AD, people in Europe did not really use adhesives or sealants and did not become interested in them again until the Renaissance. Modern people first began producing commercial adhesives and sealants in 1690. The first glue plant opened up in the Netherlands. There, they made glue that they derived from animal hides. At that time, ranchers would give away their elderly horses to the companies to make glue. For this reason, people often universally refer to animal-based glue as horse glue. Sadly, the use of animal glue was very popular throughout the 18th and 19th centuries. In 1750, for example, some British manufacturers began making glue sealants derived from fish proteins. After Charles Goodyear discovered vulcanization in 1839, people began using vulcanized rubber materials for heavy duty bonding. Nearly 100 years later, in 1927, manufacturers used thermoplastic rubber cements to bond metal to rubber. In 1845, an American named Henry Day invented the first adhesive bandage. Following this lead, another inventor came up with pressure-sensitive adhesives in 1925. In 1932, an American company called Borden began manufacturing a glue that would become a household name–Elmer’s Glue. The reason that Elmer’s Glue features a cow on its logo is because they originally used proteins from animals to make their glue. During these years, scientists and engineers learned how to make better plant-based adhesives and started getting a handle on synthetic adhesives. This allowed them to make a pivotal shift away from the use of cruel animal-based adhesives. (Note: Per regulations related to animal protection, manufacturers still were and still are able to make glues using animal by-products, like casein, which occurs naturally in milk protein. They were and are forbidden, however, from using from using living animals to make adhesives.) This shift solidified in 1947, when manufacturers at Casco began selling their first adhesive made from a completely synthetic, cruelty-free, and environmentally friendly thermoplastic, polyvinyl acetate (PVA). Also, around this time, engineers first invented super glue, also known as cyanoacrylate super glue or cyanoacrylate adhesive glue. Today, adhesive engineers are looking toward the future by working training nanotechnology to make adhesive products that stick to substrate surfaces the same way that geckos do with their feet. Needless to say, the future of adhesive products and adhesive technology is vibrant; adhesives are here to stay. Manufacturers use a number of different adhesives, depending on if they are making sealants, bonding adhesives, or both. The substances that manufacturers use to make industrial adhesive products are usually synthetic in nature, but they may also have a natural origin, such as from animals, natural resin, or starch. Natural adhesive sources such as these, however, are fairly rare because synthetic adhesives are both easier and cheaper to produce and sell. Rather, the three main materials used to produce industrial adhesives are acrylics, silicone, and polyurethane. Industrial adhesives are often categorized according to these three materials (polyurethane adhesive, acrylic adhesives, etc. ), as well as their adhesive properties and curing mechanisms. They all offer different levels of adhesion, high ductility, heat resistance, etc. Other industrial adhesive materials include diglycidyl ether (an epoxy component) and vinyl plastisol/plastisol PVC. Many non-industrial adhesives are made from water-soluble polymers. Water-based adhesives, while convenient, tend to be weak, as they have limited resistance to moisture and water molecules. Adhesive manufacturers produce adhesive products according to a number of different application specifications, such as expected level of pressure on the adhesive, anticipated surrounding temperature/room temperature, anticipated environmental exposure (ice, rain, sun, wind, etc. ), required flexibility/bendability, and required strength of adhesion. Manufacturers need to make sure that any adhesive products they create have experienced mechanical bonding and an appropriate relative strength of adhesion, both which increase the strength of the adhesive bond. To offer you the best industrial adhesive products possible, manufacturers can customize details like adhesive material and substrate material (in the case of tape). Depending on their composition, adhesives have different cure times. For instance, some adhesives require a full night to complete bonding with a surface, while others set and dry almost instantly. In addition, different adhesives have different temperature range settings, depending on how much cooling or heating they require to harden. Generally, these temperatures range anywhere between 212ºF to -68ºF. Hot melt adhesives, for example, require a high level of heat, so that they can reach viscous liquid states. Adhesives also heat and cool at a variety of set speeds, remaining tacky or soft for different amounts of time. The longer an adhesive remains tacky, the more time manufacturers have to assemble more complementary parts. Also, some setting speeds allow an adhesive to retain a level of tack, which facilitates repositioning options. We can categorize adhesives in a number of different ways. First, we can group them per their curing method. Adhesives in this group include conductive adhesives, epoxy adhesives, hot melt adhesives, laminating adhesives, pressure sensitive adhesives, ultraviolet adhesives, and anaerobic adhesives. In addition, we can divide these various adhesive types into groups of those made by one-part and those made by two-part formulas. Finally, we can also categorize them by their physical form. Adhesives categorized this way include aerosol sprays, films, tape, foams, liquids, pastes, and solids. Conductive adhesives, sometimes called thermally conductive adhesives, are those that conduct heat and electricity. Epoxy adhesives are made from a dual chemical base epoxy. They are the most chemically resistant and strongest adhesive type available to consumers today. 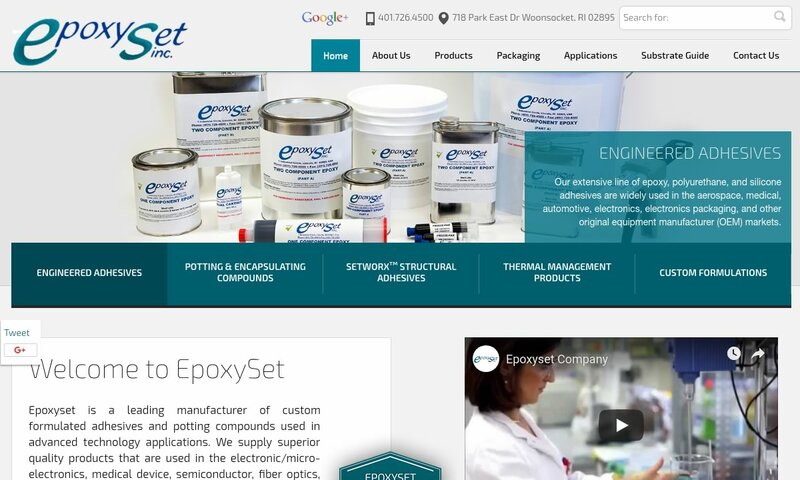 Some epoxies, known as conductive epoxies, are electrically conductive. 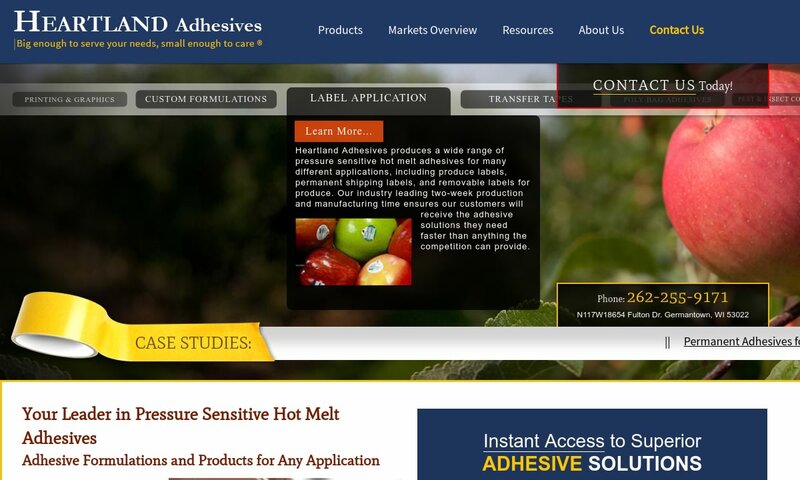 Hot melt adhesives use heat to harden the surface they are treating. Laminating adhesives mount objects using a backing material. They are an example of a very common film adhesive. Pressure sensitive adhesives, per their tactile nature, attach themselves to their assigned surface when someone or something applies pressure. Pressure-sensitive adhesives often come with backing designed to allow users to remove or reposition them without reducing or losing stickiness or damaging surfaces. Ultraviolet adhesives work with the help of sunlight. Anaerobic adhesive solutions cure when they are in an environment that lacks oxygen. One-part adhesives bond to surfaces using only their latent bonding properties, which are activated by various energy sources. Energy sources vary by the type of adhesive, but some common examples include heat, moisture, and radiation. A version of the one-part formula is used to create ultraviolet adhesives. Two-part, or multi-part, adhesive products require the mixture of two or more separate components. They are activated either through homogeneous mixing, which must take place immediately before application, or through the separate application and pressing together of these components. During the latter procedure, a chemical reaction occurs that allows the properties of the components to bond together. Multi-part adhesive formulas are used with acrylics, epoxies, and urethanes. Aerosol spray adhesives provide a protective coating or seal to a variety of products. The types of products with which an aerosol spray can adhesive will work depend on the composition of the spray adhesive. Film adhesives are chosen for use with products that require a uniform glue line, which they supply upon their activation via pressure and/or heat. Also, film adhesives may or may not come with release paper. 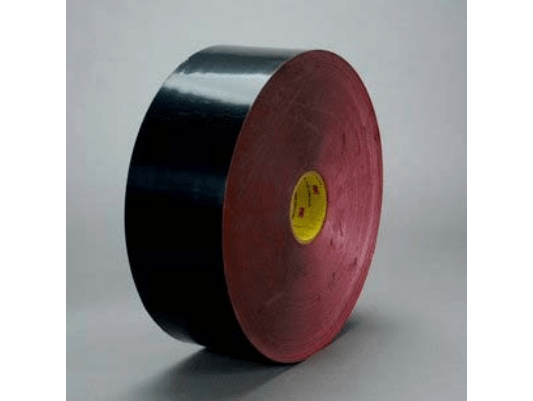 Tape, also called adhesive tape or seal tape, consists of a strip of material with an adhesive applied to one or both sides. Tape is a contact adhesive, meaning that it sticks upon contact. Foam adhesives are adhesives that offer fast bonds and relatively quick curing times. Customers usually dispense them from a glue gun or special canister. Foam adhesives work exceptionally well as sealants of openings like the superficial cracks on the outside of a house. Liquid adhesives are useful in a wide range of applications, from arts and crafts to product assembly. They can dry as clear adhesives or visible adhesives. Gap filling adhesives are a good example of a glue-like liquid or foam adhesive. Because they do not shrink much when set, customers can use gap filling adhesives as both bonding adhesives and sealants. Paste adhesives are structural adhesives that provide a permanent, strong bond. They bond materials like stainless steel, titanium, and aluminum. Epoxy is one of the most common examples of a high strength paste adhesive. Solid adhesive products include, among others chips, granules, hot melt sticks, pellets, and powder. 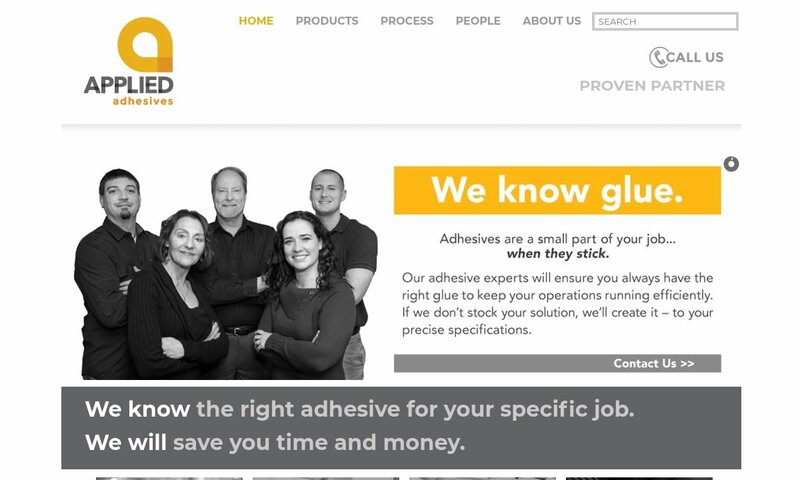 To find the absolutely best adhesive(s) for your application, we recommend you connect with an experienced adhesive glue manufacturer. To guide you away from a potentially sticky situation with a weak manufacturer, we’ve put together a list of those industrial adhesive companies we trust most. You will find their information wedged between the industry info on this page. Before you start browsing, we suggest you take some time write down your specifications. Think not only about your application needs, but also your needs including how much you can pay, when you need your adhesives, and where you need them delivered. It’s important than any potential manufacturer confirm that they can fulfill all your needs before you decide to work with them. Also, because sometimes you will be selecting a standard adhesive, not a custom adhesive, you need to keep in mind some important details about an individual adhesive including its cleavage strength, fatigue strength, impact strength, peel strength, shear strength, tensile strength, and wet strength. If you don’t know anything about these details, don’t worry; your adhesive supplier will guide you through it and make sure you get what you need.